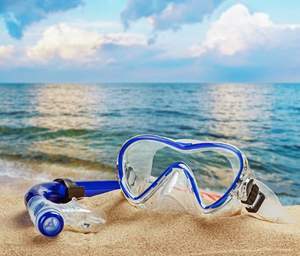 GEORGE TOWN, GRAND CAYMAN--(Marketwired - Jun 3, 2016) - Meeting participants are becoming culinarians, kayakers, wine experts, water photographers and much more, thanks to a newly-enhanced menu of teambuilding and group activities at The Ritz-Carlton, Grand Cayman. The creative tropical offerings were developed by the luxury resort's own Group Activities and Destination Services teams, with programs operated by specially-trained employees of The Ritz-Carlton and by a team of outdoor Naturalists affiliated with the resort's Jean-Michel Cousteau's Ambassadors of the Environment program. Group guests begin their excursion with an hour-long scenic cruise to Stingray City Sandbar, where they explore vibrant marine life and receive a warm welcome from the charming stingrays. Guests interact with stingrays in a natural setting, where the stingrays and other marine creatures are free to come and go as they choose, in their own habitat. The sea-life encounter is followed by a snorkel at the North Sound barrier reef where guests will experience the underwater beauty of clear, turquoise, Cayman waters. Once both water activities are completed, the sails will be raised and the bar will open for the one-hour cruise back to the dock. 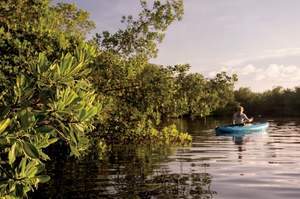 This exciting eco-tour takes participants to the coastal mangrove wetlands of Grand Cayman, to discover the mysteries of mangroves -- the nursery and jungle gym that bridges land and sea. Teams depart from the hotel with the resort's knowledgeable Ambassadors of the Environment by Jean-Michel Cousteau-trained Naturalists, who will guide them through a lively and interactive exploration of the fauna and flora of Grand Cayman's coastal mangroves. Groups learn about the history of Cayman and its cuisine, how to source authentic ingredients and prepare island favorites at home with this three-course shared lunch experience. This class is bold and vibrant with flavors that are the definition of Caribbean cuisine, and with a foundation built on heavily spiced, fragrant meats and the freshest of local, seasonal produce. Participants begin this sail aboard a privately chartered catamaran leaving from the beach at The Ritz-Carlton. The first stop is the sunken U.S. Naval ship, the USS Kittiwake. Observing this attraction from the surface, guests then dive down and snorkel as close as 10 feet from the 250-foot-long sunken vessel. The next stop takes the group to one of Seven Mile Beach's many spectacular coral reefs to encounter an amazing array of tropical fish and lush coral. After the water activities, a gentle sail follows, featuring a choice of cocktail as participants soak up the sun for a leisurely cruise back to the beach. This Caymanian tasting adventure lets groups discover three of the island's treasures: The Cayman Spirits Company, Cayman Islands Brewery and Tortuga Rum Cake Factory. Participants are first taken to the Cayman Islands Brewery to enjoy a guided tour of the facility, from the grain pulverizing process through to bottling. They will taste four beers, including Cayman's award winning Caybrew and lronshore Bock. The second stop is to Tortuga Rum Company to experience two of Cayman's most popular snacks: Patties and Rum Cake. Just across the street, the tour continues at the Cayman Spirits Company, home of Seven Fathoms, a Cayman exclusive rum distillery. Groups can let loose and relax in the sand as they build a bike, compete in beach games, or conduct their own amazing race. The day's events end with the group's own North Sound Pool Party, Caymanian Cookout, or Sunset Grill dinner. The Ritz-Carlton Golf Club, Grand Cayman is a private Greg Norman-designed nine-hole, 3,550-yard "Caribbean Monster" providing a challenging and enjoyable round to golf groups. Water comes into play on eight of nine holes with a dramatic island green par-three finish. The Ritz-Carlton Golf Club, Grand Cayman features tournament conditioning and forecaddie services to accompany each group, and a new indoor Trackman Golf Simulator lends further appeal to this memorable shared experience. Guests can create #RCMemories for Instagram and other applications, as they learn how to capture Cayman's pristine coral reefs using digital cameras with underwater housings to capture their snorkeling experience. Ambassadors of the Environment by Jean-Michel Cousteau-trained Naturalists reveal the fundamentals of underwater photography and present an interactive and informative coral reef slide show, followed by a guided coral reef snorkel. Participants can digitally enhance their favorite images and then receive a souvenir CD of their underwater shots. Participants pair two of life's most enjoyable things -- wine and shopping -- as they visit local shops and specialty boutiques. They complete the experience with a stop at the West Indies Wine Company. Both a tasting room and an inspired beverage shop, West Indies Wine Company engages group guests with a specially curated selection of 80 different wines by the glass. Grand Cayman shopping offers everything one would expect from a duty-free destination -- from luxury designer boutiques to unique local art, crafts, and an abundance of food items. Planners also can organize a private shuttle to provide periodic transfers from the hotel to George Town and Camana Bay. Transfers will be coordinated by The Ritz-Carlton staff who will assist group guests and provide them with refreshing bottles of water and guidance on where to shop. Upon arrival to George Town, each participant also receives a self-guided map to assist in exploring the shops of Grand Cayman. Further activity options for groups include the resort's enticing Sunset Sail, Dolphin Discovery and Turtle Farm excursion, Fishing Challenge teambuilding adventure, Atlantis Submarine Voyage, Nautilus Discovery semi-submersible group boat tour, Scuba Diving, Sea Trek helmet dive, Helicopter Tours, Island Jeep Safari with competitive Pirate Scavenger Hunt, and an entertaining multi-media excursion along the island's Art and History Trail. Additional offerings include group wellness programs at the resort's renowned la prairie spa -- featuring 16 treatment rooms and a complete fitness center, and group tennis lessons and clinics at The Courts by Nick Bollettieri tennis center. With more than 13,000 square-feet of indoor function space and acres of balmy outdoor and off-site space, The Ritz-Carlton, Grand Cayman caters to corporate and group meetings, and special events with a variety of spaces to choose from, including the 9,000-square-foot Cayman Islands Royal Ballroom divisible into three or five individual meeting rooms, and three scenic outdoor venues including the lush, 10,000-square-foot Great Lawn. Group inquiries may be directed to the resort at +1 (345) 943-4000 or www.ritzcarlton.com/grandcayman. The Ritz-Carlton Hotel Company, L.L.C., of Chevy Chase, Md., currently operates more than 90 hotels and resorts in the Americas, Europe, Asia, the Middle East, Africa, and the Caribbean. More than 40 hotel and residential projects are under development around the globe. For more information, or reservations, visit the company web site at www.ritzcarlton.com. The Ritz-Carlton Hotel Company, L.L.C. is a wholly-owned subsidiary of Marriott International, Inc. (NASDAQ: MAR). Mangrove kayaking has become a relaxing favorite among meeting participants on Grand Cayman. 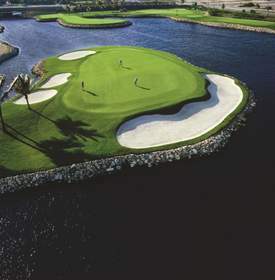 Group golf is a specialty of The Ritz-Carlton Golf Club, Grand Cayman. Meeting attendees enjoy discovering -- and even photographing -- the Caribbean’s brilliant sea life.